One of the greatest upcoming massive multiplayer online RPGs has been under development for long years, but finally its creators are in the homestretch. Yesterday ZeniMax studio officially announced The Elder Scrolls Online release date and also published its new trailer. The Elder Scrolls Online was announced in 2012, but at that point of time the developers had already been working on it for 5 years! This ambitious project is going to bring the amazing open world to life and create the battlefield for millions of players. And finally we know, when the game will be launched. 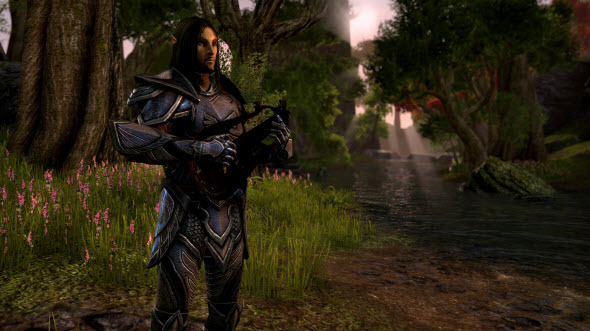 The Elder Scrolls Online release date is scheduled for the 4th of April, 2014. In spring we will see the PC and Mac versions of the game, and the RPG for the next generation of consoles is coming in June. To celebrate the announcement of The Elder Scrolls Online release date, which was awaited by many fans all over the world, the developers decided to publish the game's trailer. The new video shows a glimpse of the future project, tells first details about its plot and demonstrates us its amazing graphics. Enjoy!